But not often (perhaps never) do false cognates, with different etymologies, also possess similar meanings. 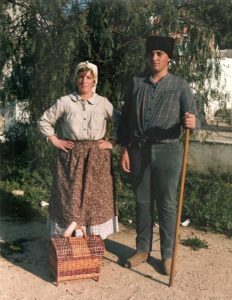 There is one such instance of a similar-enough word that appears in both Croatian and Portuguese that I believe may actually be more philologically related than anybody so far has determined. 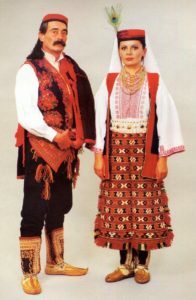 Croatian Seljaci in traditional garb. Stylized.